One dilemma of winter is how to eat fresh vegetables without eating cold raw food. For many people, it cuts out the main source of vegetables in their diet, salads. Well, my friends, salads don’t have to be raw. In fact, braising vegetables can help increase your ability to absorb the nutrients packed in leafy greens. So can adding oil and vinegar (salad dressing) since some nutrients are only extracted in acidic environments such as hard minerals like iron, calcium and magnesium, and others need fat to carry them into the bloodstream such as Vitamins A, D, E, and K. So a room temperature, ever so slightly predigested (cooked) salad can be a perfect nutritious addition to a meal. 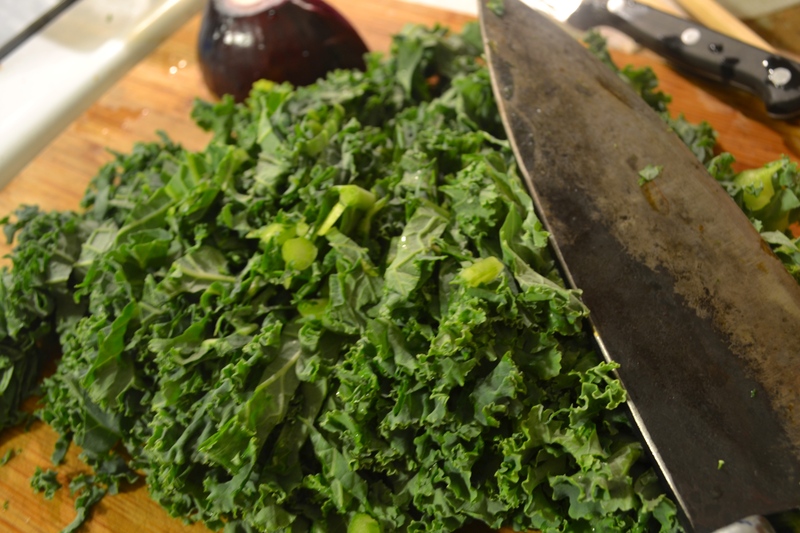 Bring a pot of water to boil, and place kale into the water. Turn the heat off. Strain the kale and run with cold water. Set aside to drain. 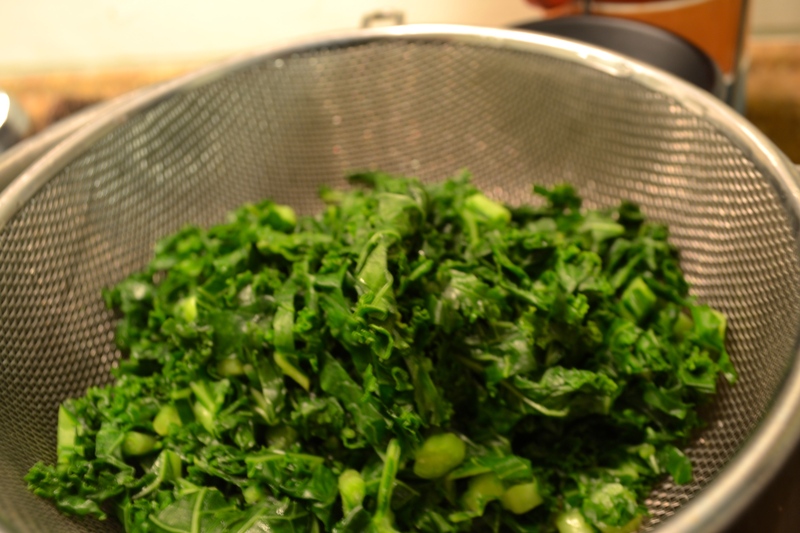 Kale, blanched and strained. Notice the vibrancy in color! 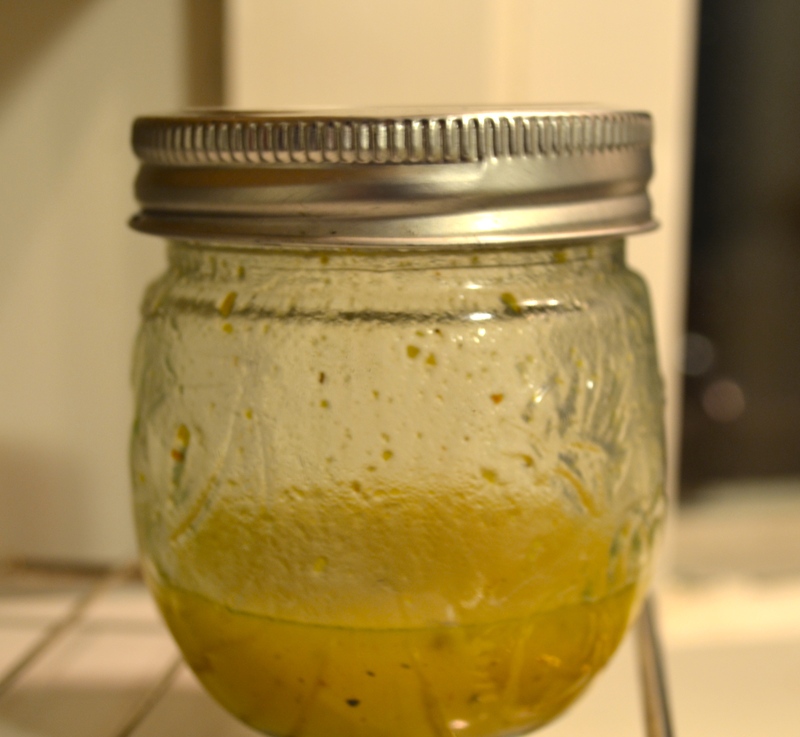 In a separate container, add the ingredients for the vinaigrette dressing. Mix thoroughly. Find a cute mason jar, and shake it, baby! 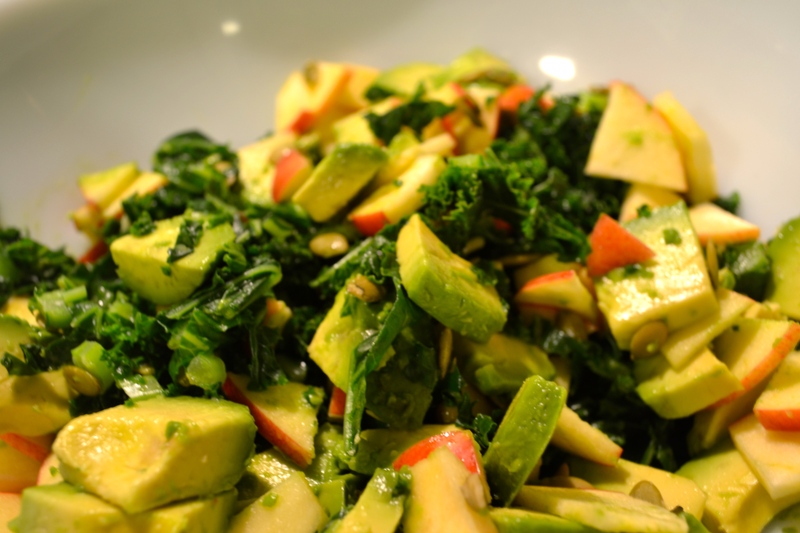 In a bowl, add the drained kale, and place apples, onions, avocado, and pumpkin seeds on top. Swirl in the dressing and toss the salad. 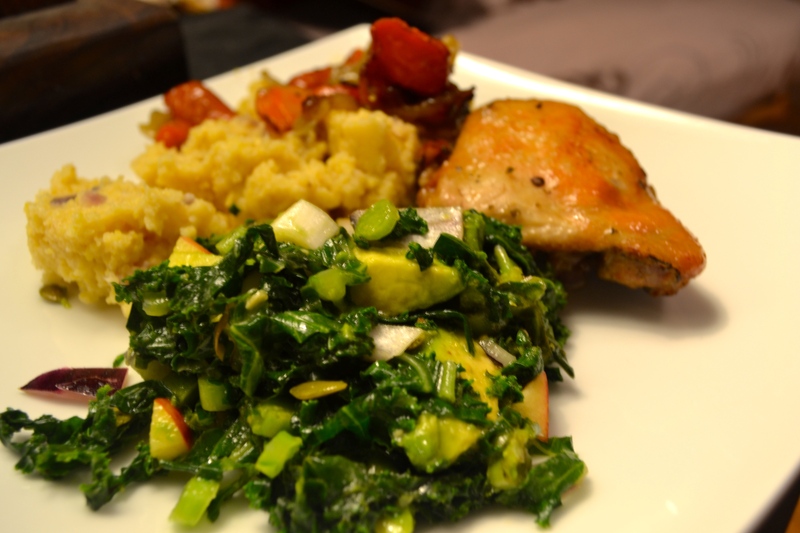 This recipe as a side dish feeds 4 easily. Enjoy! This entry was posted in Dairy Free, Gluten Free, On the Go, Recipes, Uncategorized, Vegetarian and tagged apple, avocado, cooked salad, Kale, pumpkin seeds, salad, salad dressing, vegetarian, vinaigrette. Bookmark the permalink.